Plantronics and headsets go hand-in-hand, so visit Craig Communications when you are in the market for cordless telephone headsets. You can purchase Plantronics wireless headsets, bases, amplifier or other accessories at a terrific price. We provide top-selling phone systems and accessories from small to large businesses. Craig Communications truly aims to provide a positive customer experience for all of our plantronics clients who are looking for quality headsets at an affordable price. Look around our site to find out more about Plantronics and headsets. We can help you find the right wireless telephone headsets for you budget. 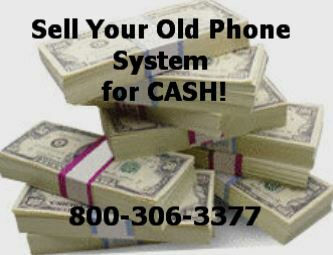 Contact us toll-free at 1-800-306-3377 for more information. Enhance the telecommunications capacity for your business�for less�with a headsets for any business application. We carry wireless phone headsets for the most efficient small business telephone solution on the market. At Craig Communications, we offer headsets that works with most major brands of business phones. Each of our Plantronics headsets gives the small business telephone solution a lower cost but higher quality product that will last in a extreme calling envirement. The wireless headsets and cordless headsets that plantronics manufactures, allows all of your calls to be optimized for maximum clarity at minimum cost. Let us help you find the series of headsets from Plantronics you need for your small or large business telephone system. We offer new in the box, options for you to take advantage of the latest in plantronics wireless or cordless headset technology. Call us to find the Plantronics phone headset solution for your business today.